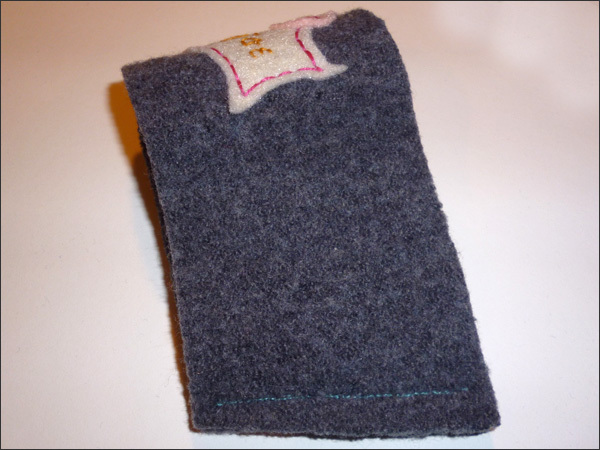 Here's another project I presented at my Get Crafty Upcycling Workshop this weekend... Easy peasy coffee sleeves using felted wool sweaters. 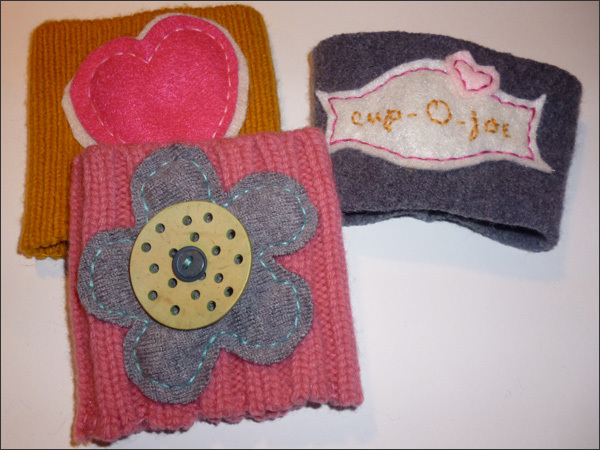 I made three using old wool sweaters, buttons and felt applique. 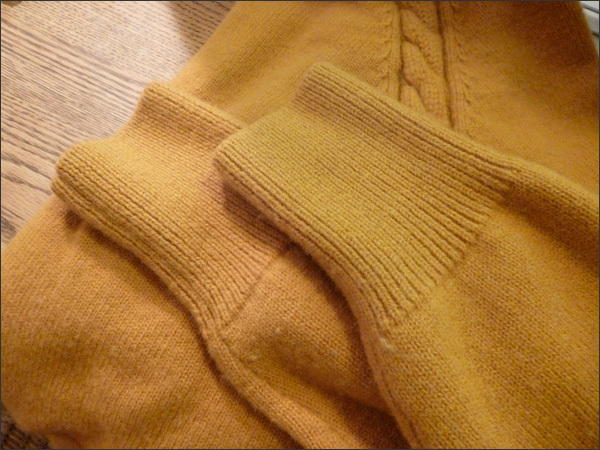 I started by using one of the cuffs from this thrift store sweater. Love the colour! 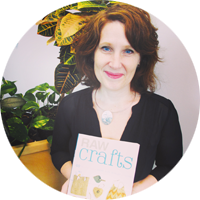 Then I cut a design out of felt using a cookie cutter. 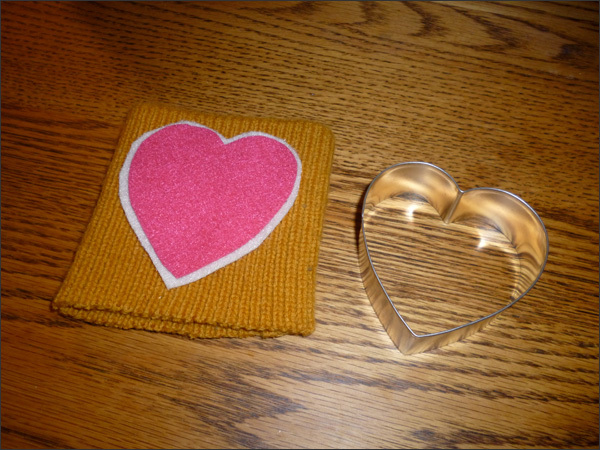 I stitched the heart to the cuff then added a buttonhole stitch to the part of the cuff that I cut. Hopefully this will help stop the edges from fraying. Here's the final coffee sleeve. The colour combo is pretty darn happy, isn't it? 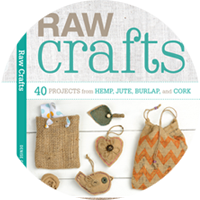 And the sleeve didn't take long to make. 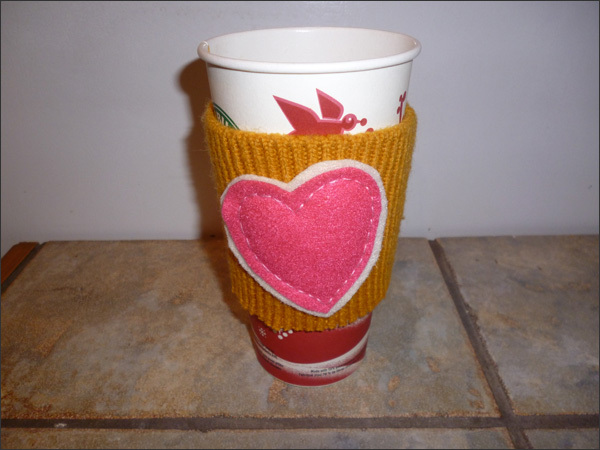 Here's the second coffee sleeve also using the cuff from a thrift store sweater. 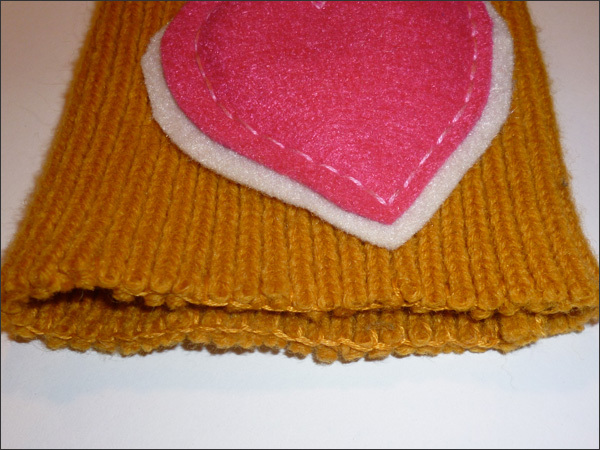 I've used a couple of buttons to accent the design and then stitched up the side with a buttonhole stitch. 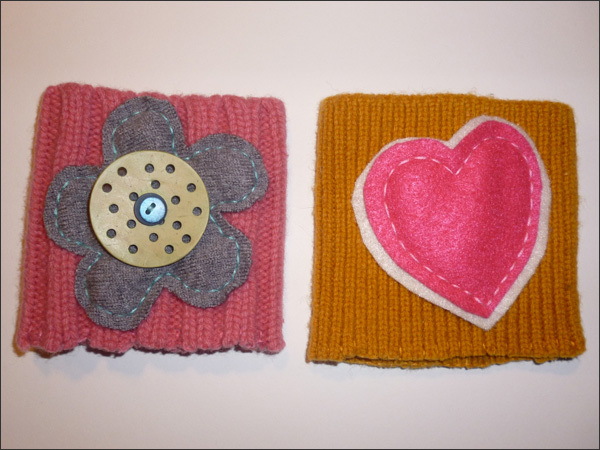 Here are the two coffee sleeves I made using sweater cuffs. 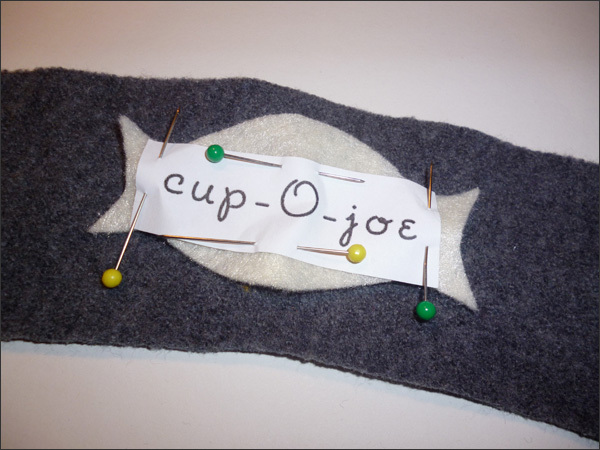 Here's the text and felt applique. 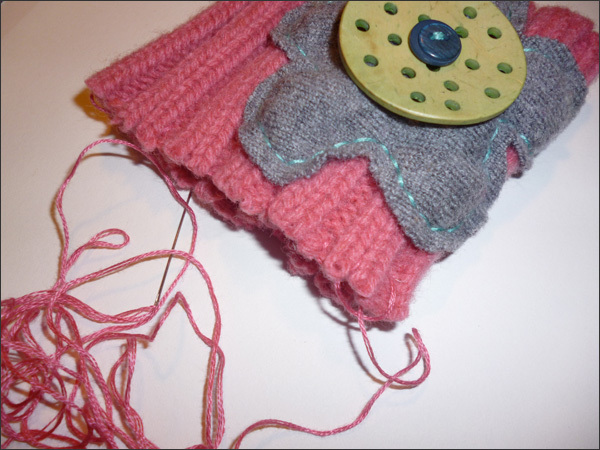 Then I used my sewing machine to stitch up the side of the sleeve. 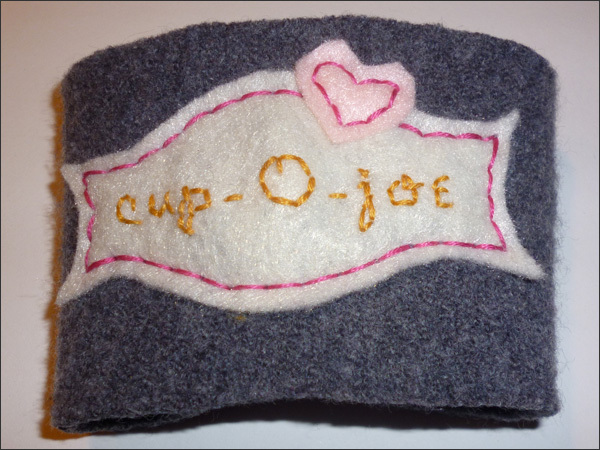 Coffee sleeves are a fun and easy upcycling option for old wool sweaters or maybe even remnant fabric. 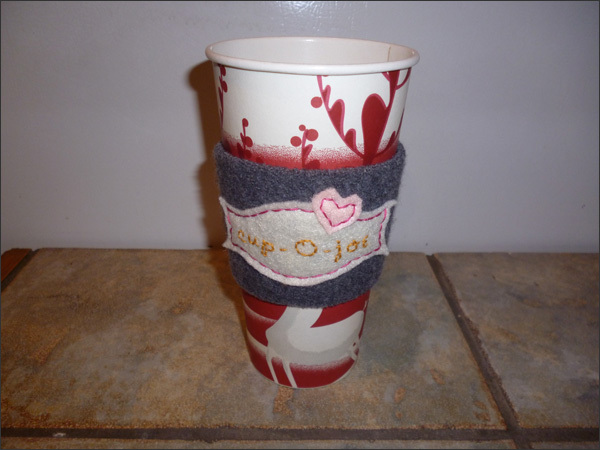 I created my three coffee sleeves in a jiffy!